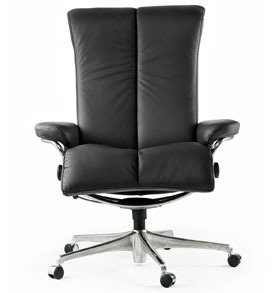 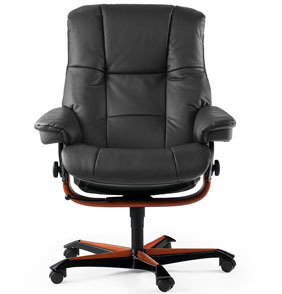 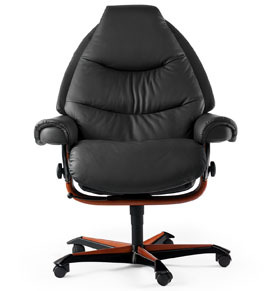 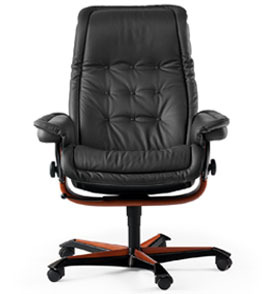 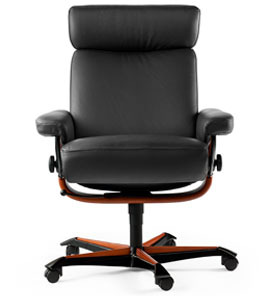 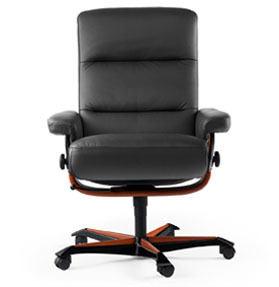 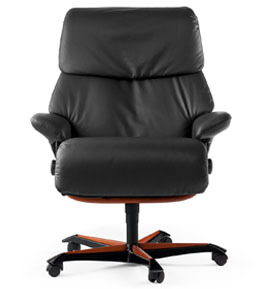 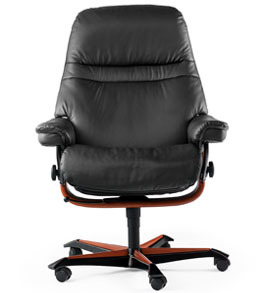 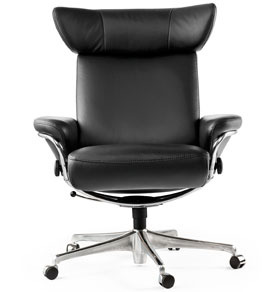 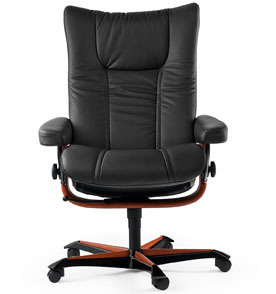 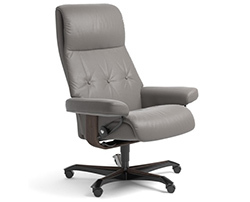 Stressless Office Desk Chair with Wood Accent Base Recliner from Ekornes. 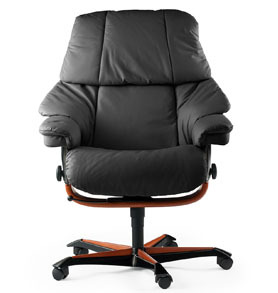 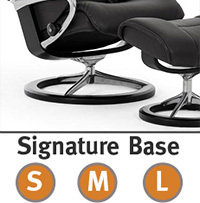 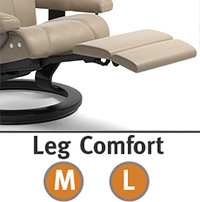 Stressless offers four base options for some of its seating models. 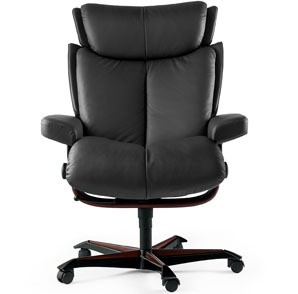 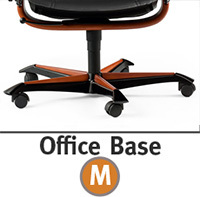 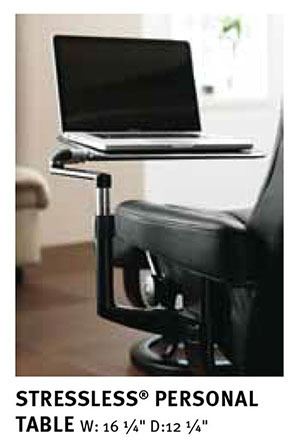 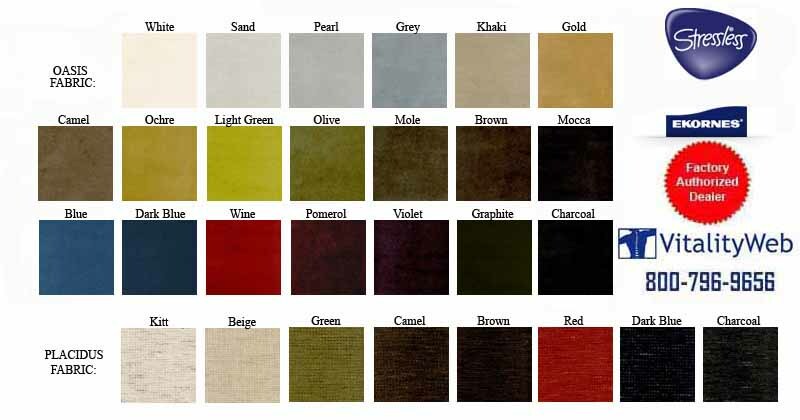 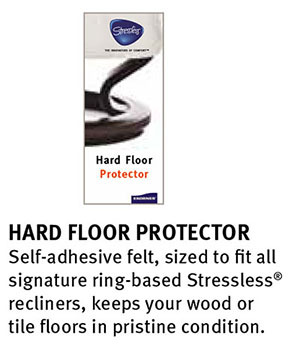 - Select from: Classic Wood Hourglass, Signature Steel, Power Leg Comfort extending footrest or the Office Desk Chair. 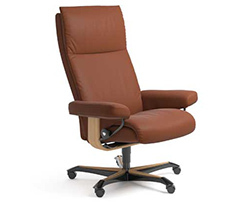 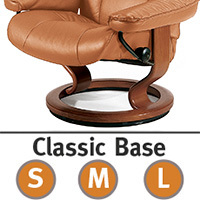 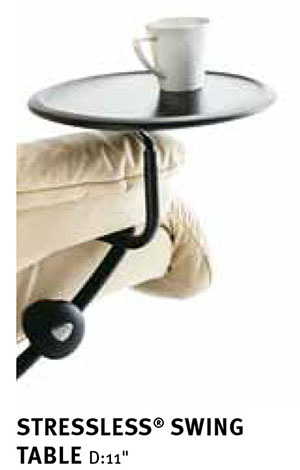 THE EKORNES� STRESSLESS� BASE is made from laminated European beech, a light colored wood with an attractive grain, exceptionally suitable for staining in various colors. 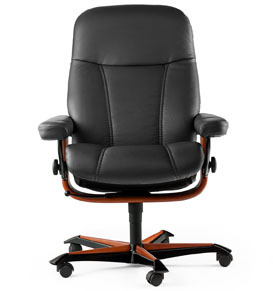 Also, the strength of the wood makes beech furniture extremely durable.